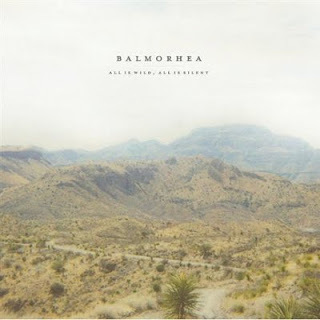 Austin natives Balmorhea have released a complex, classically inspired, and very moving new album. The band has added a few more members and now have six members playing guitar, banjo, piano, violin, cello, drums and upright bass. The album's name, “All Is wild, All Is Silent” was inspired by the writings of early Texas settler William B. Dewess; and there is something about the music that conjures up images of an old American West and the vast landscapes depicted on the cover art. The drastic twists and turns of “Harm and Boon” , leading from the melancholy to the intense, mimic some of the classical greats such as Ludwig Van Beethoven himself. The song brings you on a musical journey and with strictly instruments evokes tremendous emotion. “November 1, 1832” is an eerie and lonely song. I thought it was about Steve Ballmer. That guy can rock. The first tune there reminded me of the French composer Satie. Check out his pieces for solo piano, Gymnopedia No 1, 2 and 3. Chad VanGaalen-Did You Find Peace?